Why is it so hard to find an NHS dentist? A blog looking at a recent report that people in Bradford are struggling to find an NHS dentist. I recently read an article reported by the BBC, that “major concerns” had been raised regarding access to an NHS dentist in Bradford. This is not the first time, I have heard that people struggle to find an NHS dentist. Unfortunately, people in other parts of the country can also find themselves in the same position. However, the website does provide a warning that not all dental practices will have the capacity to take patients on. Therefore, people may have to ring around several practices or join a waiting list. For patients in Bradford, a survey of over 1,000 people was carried out by Healthwatch, which found that 43% of adults and 30% of children had no access to an NHS dentist. They also found 30% of parents in the survey advised that their children did not have an NHS dentist, with many parents saying that their children had never seen a dentist. Last year, a study by consumer champion Which? involving 500 different dental practices revealed that a third of dentists say they are accepting new NHS patients but then do not or, if they do, the waiting list is very long. If people are unable to register with a dentist, some people can take drastic action and resort to DIY dentistry. Some people may buy home kits which are designed to temporarily provide a solution until they can get to a dentist. However, some people resort to extracting teeth themselves, which is not recommended. Other people decide to attend A&E or their GP surgery, which adds pressure to the system, which many contend is overstretched. For some people they may be able to afford private dentistry, but unfortunately not everyone is able to afford private dentistry. NHS dentistry is one of the few services of the NHS, where you have to make a contribution towards the cost of your care. However, some people are unable to even afford the NHS charges. We are all aware of the pressures that the NHS is under and it may be that more people will have to resort to seeing a private dentist. 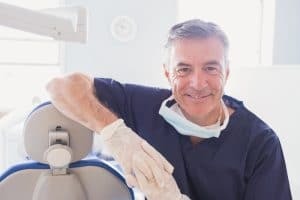 It may be for the dental practices themselves to introduce strict measures for people who fail to attend and replace them with new patients and keep waiting lists. Unfortunately, not all practices keep a waiting list or offer to put new potential patients on a list. Hopefully, the position will change in time and people will have more access to NHS dentistry, but this may remain an issue for many years to come. Healtcare is free on the NHS for every other service so why not NHS? The dentistry in the uk is ridiculus , the whole lot needs a shake up … i have been butchered over two teeth and still getting trouble . This as cost me over a £1000,00 … trying to get in a dentist is a 3 month waiting list … i resorted to phoning 111 to see if they can help as i have pain and a fever for 3 days and they have told me to go to a walk in centre …. i hope that they can help me there . Hi Pepper. If you wish to discuss this further with us, then please give us a call.